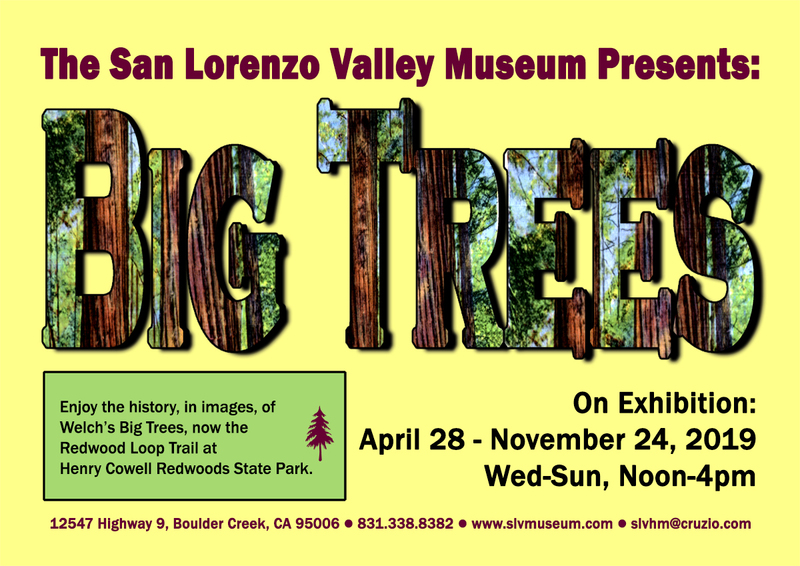 On exhibition from April 28 - November 24, 2019, at the San Lorenzo Valley Museum in Boulder Creek, will be "Big Trees." Enjoy the history, in images, of Welch’s Big Trees, now the Redwood Loop Trail at Henry Cowell Redwoods State Park. See images of features no longer in the park and learn about others that have unusual stories to tell. The opening reception will be on April 28 from 2-4pm. Refreshments provided. Admission to the exhibition is always free and the Museum is open Wednesday through Sunday from 12pm to 4pm. October 13, 2017 - Smithsonian sports exhibit comes to San Lorenzo Valley Museum. February 26, 2017 - San Lorenzo Valley Museum explores Santa Cruz’s explosive history. Dec 25, 2016 - Playing with History: Vintage Toys and Games at the SLV Museum. Aug 4, 2016 - Felton Library to Become Felton/San Lorenzo Valley Museum. Nov 18, 2015 - Grant Awarded by the Community Foundation of Santa Cruz County. Nov 18, 2015 - San Lorenzo Valley Chamber of Commerce Names the Museum "Organization of the Year." Check out the fun! 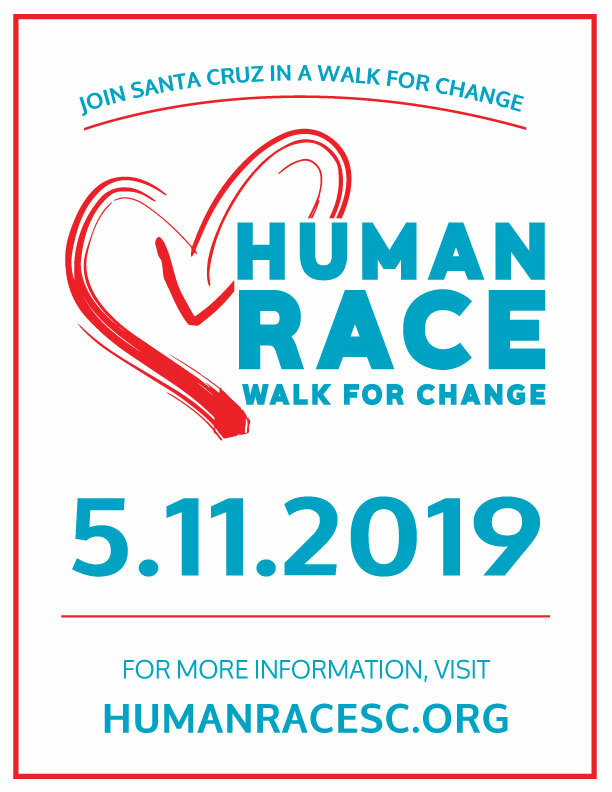 - Join us at our next event.